Join Dr. Jill Biden and Taboo from the Black Eyed Peas at the 2018 SXSW Connect to End Cancer event! Connect To End Cancer aims to identify, showcase and unite innovators, ideas and health technology providing transformational cancer care to patients around the world. Innovators from around the world are invited to submit their early stage ideas and companies for connection to institutions that can put accepted ideas into action. Exceptional solutions will be showcased from the stage in Austin in MARCH 2018. We were honored to have The Honorable Joseph R. Biden, Jr., the 47th Vice President of the United States, speak at our inaugural Connect to End Cancer in March. Vice President Biden outlined his plans for a Biden cancer initiative, calling on attendees at SXSW to join him in taking on the disease. In his remarks, he reflected on the progress made under his leadership of the White House Cancer Moonshot; called for innovative solutions to tackle the barriers that prevent faster gains in ending cancer as we know it; and described how he plans to remain in the fight. The University of Texas MD Anderson Cancer Center, the AT&T Connected Health Foundry, and Merck & Co., Inc. launched Connect to End Cancer at the 2017 SXSW Interactive Festival and will host their second annual event in 2018. The event will provide education, exposure and potential development support to entrepreneurs and encourage collaboration among innovators, industry executives, venture capitalists, celebrities, philanthropists and SXSW Interactive attendees who share MD Anderson, the AT&T Foundry, and Merck & Co., Inc.’s commitment to Making Cancer History®. MD Anderson, AT&T Foundry, and Merck & Co., Inc. strive to find new approaches to applying digital health technology to advance clinical care, advance clinical research and improve the patient experience. We’re working to invest in and develop innovative commercial health tech opportunities aimed at eliminating cancer worldwide. We want to hear from companies who offer unique ways to diagnose, treat, manage and prevent cancer for patients all over the world. Innovators from around the world are invited to submit their early stage ideas and companies for connection to institutions that can put their approved ideas into action. The University of Texas MD Anderson Cancer Center in Houston ranks as one of the world’s most respected centers focused on cancer patient care, research, education and prevention. The institution’s sole mission is to end cancer for patients and their families around the world. MD Anderson is one of only 45 comprehensive cancer centers designated by the National Cancer Institute (NCI). MD Anderson is ranked No.1 for cancer care in U.S. News & World Report’s “Best Hospitals” survey. It has ranked as one of the nation’s top two hospitals since the survey began in 1990, and has ranked first for nine of the past 10 years. MD Anderson receives a cancer center support grant from the NCI of the National Institutes of Health (P30 CA016672). MD Anderson’s Innovation Center aims to create transformational change by identifying innovative ideas and unique solutions to problems in cancer care, research and prevention. The Innovation team works alongside MD Anderson clinicians, researchers, patients and operational leaders using observation techniques, stakeholder interviews and market research to understand how to develop the next generation of commercial health technology solutions and to design groundbreaking user experiences. The team creates best-fit solutions through co-creation with internal innovators and strategic industry collaborators, and supports their evolution and adoption to further MD Anderson’s efforts of Making Cancer History®. AT&T Inc. (NYSE:T) helps millions around the globe connect with leading entertainment, mobile, high-speed Internet and voice services. We’re the world’s largest provider of pay TV. We have TV customers in the U.S. and 11 Latin American countries. We offer the best global coverage of any U.S. wireless provider*. And we help businesses worldwide serve their customers better with our mobility and highly secure cloud solutions. Merck & Co., Inc. makes a difference in the lives of people globally through our innovative medicines, vaccines, and animal health products. We are committed to being the premier, research-intensive biopharmaceutical company and are dedicated to providing leading innovations and solutions for today and the future. 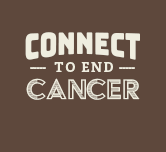 The Connect to End Cancer event aligns with Merck’s passion to help people fight cancer. At Merck, our focus is on pursuing research in immuno-oncology and we are accelerating every step in the journey – from lab to clinic – to potentially bring new hope to people with cancer. Additional information about Merck is available at http://www.Merck.com. Follow us on Twitter at @Merck, on Facebook at http://www.facebook.com/merckbewell and on LinkedIn at http://www.linkedin.com/company/merck. © [year] All Rights Reserved.